The women’s-specific Raven 10 will join you on a bike ride anytime. 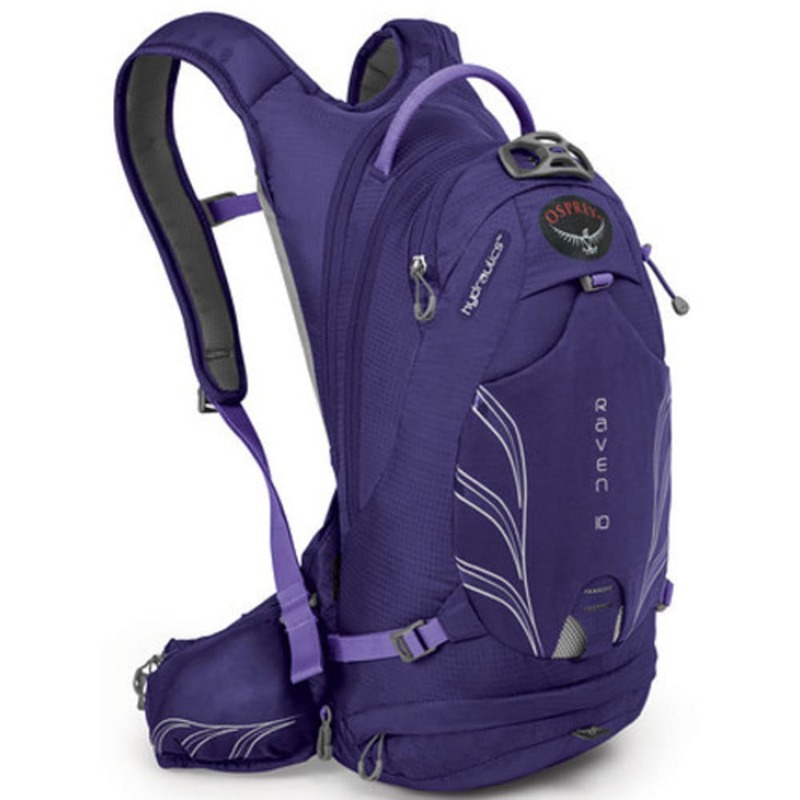 The single track may be rugged, but your pack will carry close, thanks to Osprey’s BioStretch™ harness and hipbelt that comfortably connect the pack to your body. Specially designed baffles in the 3.0 Liter LT liter Hydraulics™ reservoir reduce liquid movement for increased pack stability at high speed. The hydration sleeve is zippered for convenient refills, and the hose routes over the right shoulder strap to the sternum strap, where it anchors with a magnetic disk for on-the-fly access to the bite valve. Tool Pouch: An integrated removable tool pouch rolls out of a zippered lower pocket to provide organized access for rapid trailside repairs. Lidlock Helmet Attachment: The LidLock™ helmet attachment allows a bike helmet to be quickly and securely stored without taking up space inside the pack. This feature is perfect for heading into the office, coffee shop or grocery store with your bike locked outside and helmet secured with you.